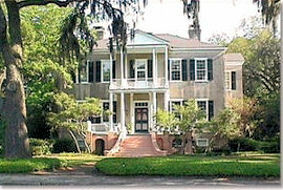 Beaufort County SC has many beautiful southern plantation homes with incredible architecture and history. 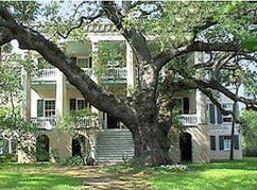 You will definitely want to tour the National Historic Landmark District. The National Historic Landmark District is located between Beaufort River and Bladen, Hamar and Boundary Streets in the city of Beaufort SC. Since only a few of the historic homes are open to the public a walking, driving or horse and buggy tour is recommended. Some of these historic homes are made of tabby which is a mixture of sand, water, oyster shells and lime. Because the settlers used this mixture to build houses, stores and churches these structures made of tabby are considered to be one of Beaufort's historic inheritances. My favorite tabby structure in all of Beaufort County SC is the "Thomas Fuller House" at 1211 Bay Street. It contains 8 rooms all of equal size, a beautiful stairway and 3 rooms lined with pine and cypress. Its also considered to be one of the finest residences build back in 1786. The Point in the City of Beaufort SC is an area of Beaufort where you will see homes built of the bricks made on the plantations. This area is also home to some of the largest, oldest and most expensive homes. The Point is between Carteret Street and the Beaufort River. On Laurens Street is the "Berners Barnwell Sams House" and "The Castle" is on Craven Street. 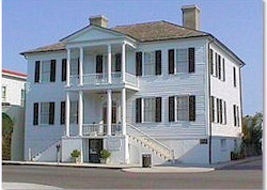 "The Sams House" uses Greek revival architecture with enormous Doric columns and "The Castle" is more Gothic in appearance. Along Craven Street, you will also find an assortment of Queen Anne style homes. On New Street is "The Benjamin Chaplin House", and then there is the "Marshlands" home on Pinckney Street. While "The Chaplin House" is very simple, the colorful "Marshlands" structure uses wraparound porches and elegant arches that show a distinctive Island influence. There was a lot of cotton being brought to this area from the West Indies in the late 1700s and the early 1800s and you will find a lot of West Indian styles and traditions in this area of Beaufort SC. Merchants and shippers were the ones living along the lower part of Beauforts Bay Street area, the planters preferred to build homes a little further away. These large homes were still on Bay Street, but on a higher bluff that better protected them from the storms and water. The 1100 block of Bay Street is where you will find "The Anchorage". Most of the Bay Street homes are above ground level, which adds to their beauty. The stairs are tall and graceful, and the porches are wide with large overhangs that helped the original owners deal with the humidity and heat. If you are looking for luxury southern plantation homes that are mansions in Beaufort County SC, you need to visit the Palladian style John Mark Verdier House Museum a place in South Carolina history. This is the only house open to the public on a regular basis. The architecture is absolutely gorgeous with rope molding that indicates the shipping background of the owner. Interestingly enough, the construction of this elaborate home was too much for Verdier and he ended up in debtor's prison. It seems that over 200 years ago land speculation and expensive building projects were still a problem for some folks. New Street is also the site of the First African Baptist Church, built by slaves in 1861. It continues to be used today and is a tourist attraction that many come to see in Beaufort County SC. 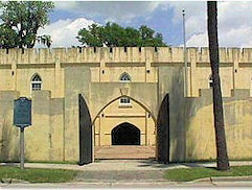 Do not forget to visit the Town of Beaufort Museum and Arsenal while you are in town. This place has Colonial spinning wheels, Civil War and Native American artifacts and even some large cannons that were once used during the wars. I have used the scavenger sheets available at the front desk to make the tour more interesting. If you have a group or family with you, you can make your museum experience a competition as well. On our last visit, the kids won the hunt and got to choose where we would eat dinner. On Church Street is the City of Beaufort SC St Helenas Episcopal Church, which dates back to 1712. It has been rebuilt over time but the history is very interesting. In the Civil War, the troops used the church as a hospital and took gravestone slabs and crypt stones to use as operating tables. You will still see some of these stones when you tour this historic site. Both Civil War and Revolutionary soldiers are also buried here. St. Helena's Episcopal Church has been witness to some of Beaufort County SC's most compelling stories. 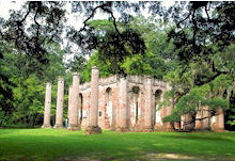 Another place to visit on the outskirts of town is the site of Beaufort SC Old Sheldon Church Ruins. This is one of the oldest and most picturesque places in the city. It is also a favorite site for weddings. This brick and tabby structure was destroyed in the 18th century by the invading British troops. 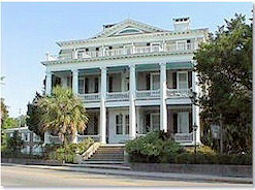 After being rebuilt, it was destroyed by Shermans troops during the Civil War and now it is a historic landmark. While in the city of Beaufort SC we have taken the tour known as The Spirit of Old Beaufort visiting historic southern plantation homes. This is a great way to really learn about the land, city, people, and architecture. They offer walking tours and self guided tours. The staff will even arrange some outstanding live music performances, but these are only done for groups. Two other Beaufort County SC attractions to check out are the City of Beaufort Henry C. Chambers Waterfront Park and the York W Bailey Museum of Gullah Culture. As you make your way from Beaufort County SC to Hilton Head Island, you will be able to visit St Helena Island SC. 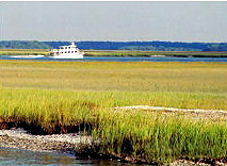 This island community is located between the Town of Beaufort and the resorts of Fripp and Harbor Islands. The Penn Center on St Helena Island SC is a landmark that denotes one of the first educational institutions for freed slaves that dates back to 1862. St Helena is also where you can become more familiar with the culture and language of the Gullah people. The Hunting Island State Park SC is another treasure that is a very rewarding stop when in the Beaufort SC area. Shelling is popular here and many people enjoy splashing in the warm surf. 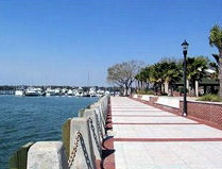 The park has nature trails and a 1,120 foot-long fishing pier, among the longest on the East Coast. Changing areas, campgrounds, a nature center with exhibits, surfing and a marsh boardwalk are all available. There is even a lighthouse that you can tour if you are up to the job of climbing those steep, tiny stairs. The small, native deer are abundant at the Park and will come up and take food from your hands. On your drive out to Hunting Island stop at the Shrimp Shack which is a local favorite for shrimp burgers and sweet-potato fries. There is something in Beaufort County SC for everyone to enjoy from orchestras to antique shops. 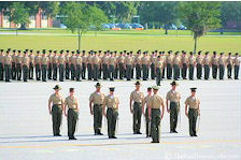 Parris Island SC is located here and graduations occur about every 6 weeks for the Eastern Region Marine Corps. History buffs love to visit the outlying plantations and see the remnants of the old forts and homes scattered throughout this section of the southeastern coast.